Alpheratz is a Frers-designed centerboard Swan 51, built in 1983. 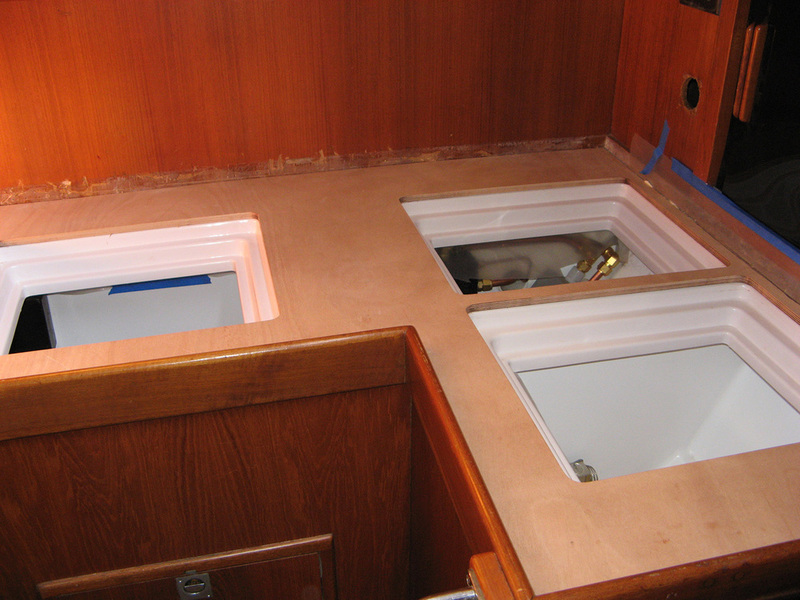 We were asked to completely refit the boat in preparation for a circumnavigation. Entire electrical system was replaced with new 24-volt house bank, 12-volt electronics power, 12-volt engine start, and 110-volt AC shore power system with inverter, which required a custom control panel, monitor systems, and rewiring throughout the boat. A new electric winch package also required a special high load wiring and circuits. The installation also included a 230-volt 50 Hz battery charging system, so that the boat can efficiently use any shore power throughout the world. New heavy-load DC wiring system and switches. Behind the new electrical panel. The nav station was entirely removed and all new electronics installed. New deck caulked, sanded, and ready for finish. New deck, all new deck hardware, and electric winches installed. ALPHERATZ completed a successful circumnavigation.